This is where the Founding Fathers meet the Founding Brothers in struggles against colonialism & for self-determination; a crossroads where George Washington and W.E.B. Du Bois find common ground, where Hamilton’s meeting Burr ends on the dueling grounds, and where Burr and Jumel found their common grounds for divorce. 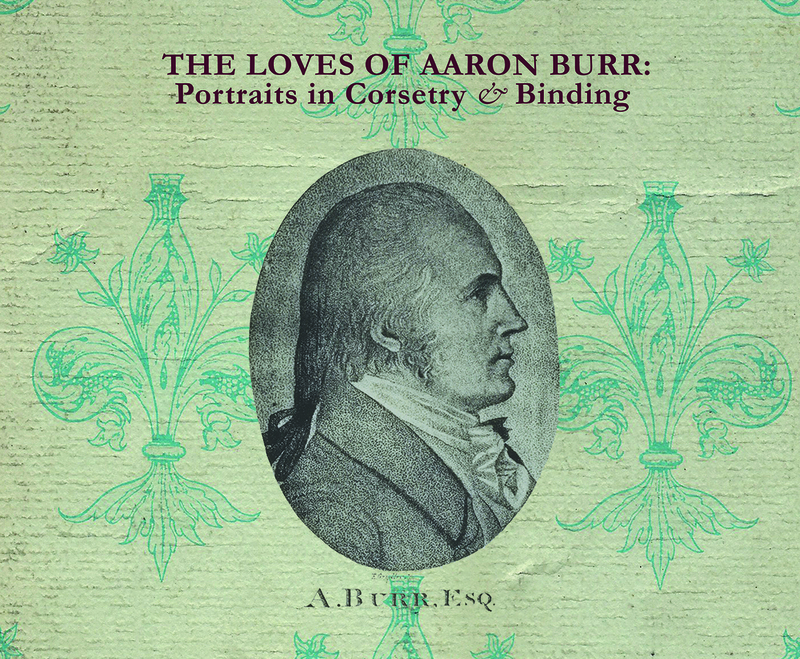 A strident equalitarian, Burr stood opposed to the vested interests of most of our republican Founding Fathers. His democratic stance credits him among the first politicians in America to introduce anti-slavery legislation and one of its first feminists, sentiments that did not make him popular with Jeffersonian democrats. These sentiments did win the women depicted here, those who mentored him and those he mentored. 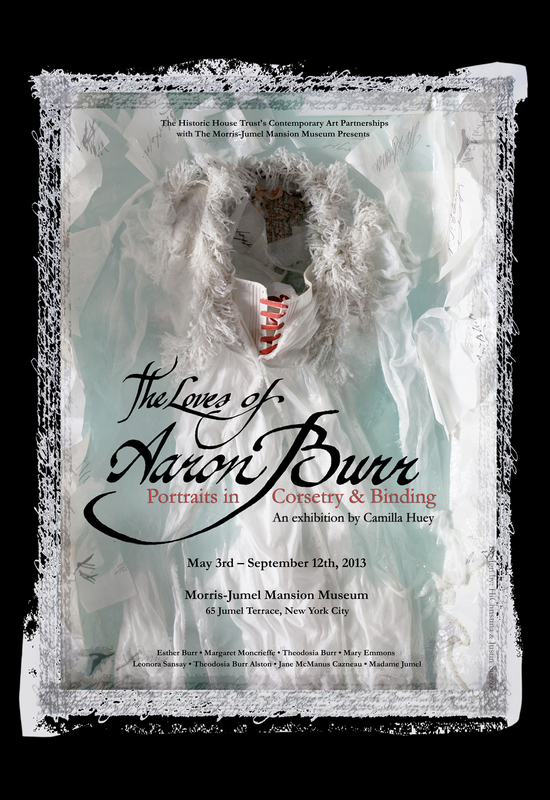 As he put a premium on literacy, many of Burr’s muses were among the literary ladies of the Revolutionary and antebellum eras. Because letters in the eighteenth and nineteenth centuries were written with an eye to “appearances,” to discern something like the truth from their allusions requires sculpting. Employing the elements of feuilleton, a hybrid of the court histories with gossip, melodrama and weird news illuminates the uncertainties experienced in these highly volatile lives. 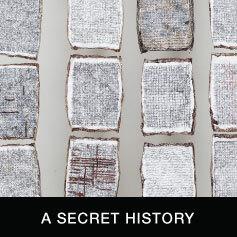 Their life experience and emotions display themselves through elegantly bound and frenetically strewn papers.